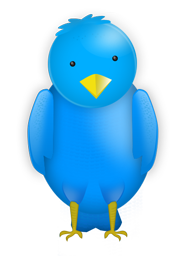 Twitter landing pages have become a popular method of providing customized experiences for social media visitors. But exactly what is a Twitter landing page, and how do they compare to the other types of landing page you might be using for your internet marketing? I’ll answer that question and provide some examples of Twitter landing pages that other people have created. A Twitter landing page is a page on your website specifically designed to receive inbound traffic from your profile on Twitter. If you use Twitter to promote your personal or business brand, then just like any other form of campaign or advertising, the effectiveness of your traffic is directly related to the experience you create for your visitors. A standard part of your Twitter profile is the “Web:” attribute that allows you to provide a link to your website or blog. Rather than sending people directly to your homepage you can (and should) create a specialized and focused Twitter landing page for them. The goal of your Twitter landing page should be to provide quick access to who you are and what you do – bearing in mind that the interested party is a Twitter user, sort of like a mixture of a social and business FAQ. Anyone familiar with the concept of landing pages (or this blog) will know that sending people to your homepage will result in a lower conversion rate due to the unfocused and generic messaging they receive there. When someone clicks on the link in your Twitter profile, they want to know more about you and what you do. You could send them to your About Us page, but knowing they are visiting from Twitter gives you more opportunities for personalization. They may be used to listening to what you say in your Tweets, so there is an established tone that you can repeat on this page. You have an opportunity to extend the basic profile that appears on Twitter and give them a quick overview of the information and content they are likely to be seeking. Improved message match. Like any landing page, you number 1 goal is to match the expectation of the visitor at the time of click, to the experience upon arrival. A Twitter landing page gives you the opportunity to speak to people regarding a shared connection. Removing barriers to entry. By inserting a landing page in the user pathway you could be introducing an extra click, however when the pathway is clear and focused this is less of a barrier and more of a guidance tool. The personal touch: Twitter is a social medium that probably brings out a style different from the rest of your website. Use your Twitter landing page to provide an intermediary experience that combines the punchy short-form personality of your Tweets with a more professional demeanor. A profile photo. If you use a photo on your Twitter profile, repeating it here completes a personal connection. A welcome message. Welcome messages can be wasteful on your homepage, but here you are engaging with someone from a social venue, so greet them as such, mentioning the fact that they are arriving from Twitter. A personal elevator pitch. Even your Twitter profile is business focused, it’s nice to provide some detail of the person behind the logo. A single paragraph of interesting personal info increases trust and transparency. The business elevator pitch. A short summation of what would typically appear on your “About Us” page. Your online network. List all of your online interaction points: LinkedIn, other Twitter accounts (your CEO or customer service), Facebook etc… You don’t kow at this point which is their primary social media venue of choice, so let people choose how to interact with you. Greatest Hits. Provide a short list (such as a Top 10) of your best content such as blog posts, or product/service benefits and features. Special Twitter Only Offers: To make visitors feel special, provide coupons/vouchers for discounts on your product or service, just for Twitter users. It’s common practice to ask that they follow you in order to participate. Here are a few sample Twitter landing pages that I’ve come across, starting with one by Laura Fitton, who is regarded as being the originator of the idea. What About Other Social Media Visitors? You can follow the exact same principle for visitor from other sites such as LinkedIn, Facebook, Digg or Delicious. Remember that these landing pages are used to provide an enhanced and expected experience for your visitors, so you should be tailoring experiences for each user type based on an understanding of what they are hoping to achieve by visiting your site. In the end Twitter landing pages are no different from regular standalone landing pages – they are used to focus the visitors attention, present a high degree of message match and gently guide your users toward their goals with as few negative barriers as possible. In case you’re wondering why we don’t have one, we’re in the midst of the design of the new Unbounce website for our impending launch, at which point we’ll unveil our own Twitter landing page.